7,000 annual points! Points can be used anywhere in the HGVC network! Buyer may receive a title fee credit, inquire for details! 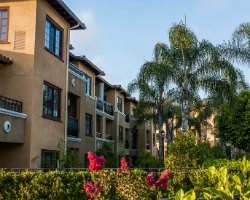 Located in the quaint coastal village of Carlsbad, *Hilton Grand Vacations Club at MarBrisa* is situated just minutes from beautiful beaches and overlooks the glittering Pacific Ocean. MarBrisa members will enjoy the on-site restaurant and full-service spa with eight private treatment rooms at the adjacent hotel. Play golf at the City of Carlsbad's Championship Golf Course, adjacent to the resort, or venture a bit farther to LEGOLAND, SeaWorld, Disneyland or the San Diego Zoo. This classic Spanish Mediterranean-style resort features luxurious studio, one, two and three bedroom vacation villas, each with a private patio or balcony offering panoramic ocean or park views. The 27 different villa buildings create a village-type atmosphere. Discover more about this resort at www.hiltongrandvacations.com. *RCI Gold Crown Resort* Featuring finely appointed floating accommodations. Annual usage is based on points, with 7,000 points per year included in the sale. Unit can be used as 3 bedroom, 2 bath. Points can be used to stay at this fabulous California resort or anywhere in the HGVC network. For more information or to make an offer, please submit the inquiry form.